If your loved one died in a car accident, you will most certainly benefit from hiring a Miami car accident attorney for several reasons. Contacting an experienced personal injury attorney is the only way to ensure that your case is being properly and fairly handled by insurance companies. Home > Blog > Do I Need A Miami Car Accident Attorney In A No-Fault Insurance State Like Florida? Sep 22, 2018 | Under Car Accident, Miami | Posted by Dante Law Firm, P.A. Florida is one of the no-fault insurance states in our country, which means all drivers in the state are required to cover their own injuries and damages after an accident rather than insuring to pay out to the other person involved in the accident. For those dipping their toe in Florida’s auto insurance waters, Florida being a no-fault insurance state means that after a car accident, each driver is responsible for contacting their own insurer to get coverage for the cost of medical expenses, loss of income, and other damages associated with the accident. It could not get easier than that, right? That is why many people in Florida are under the impression that you do not really need a Miami car accident attorney to get compensated for your injuries, damages, and losses. But this isn’t entirely true. We invited our experienced personal injury lawyer from Dante Law Firm, P.A., to unlock the key to handling a car accident in a no-fault insurance state like Florida. Turns out, you may require legal representation in a no-fault insurance state for several reasons. While you do not necessarily need a car accident lawyer after every minor fender bender in Miami or elsewhere in Florida, you may require legal assistance from a skilled attorney if your accident costs exceed your insurance. Under Florida law, drivers are required to carry a minimum personal injury protection insurance of $10,000. That is why if you get into a car crash in Florida, the first financial source the hospital will turn to is your own insurance coverage minus any deductibles. “But what can I do if the damages and costs in my car accident exceed my insurance coverage?” you may be wondering. Well, that is where a skilled car accident attorney in Miami or elsewhere in Florida comes in handy. Your lawyer may be able to reimburse the costs that exceed your insurance coverage by filing a lawsuit against the at-fault driver to get you the compensation you deserve. While Florida is a no-fault insurance state, in no way does it mean that insurance companies are handling each case fairly and in the best interests of their policyholders. You cannot expect everything to fall into place after filing a personal injury claim, especially if you suffered a permanent disability after the accident. A lawyer will ensure that you are getting the settlement you truly deserver, because, believe it or not, most insurance companies in Florida will convince to accept the lowest possible settlement amount. Do not take the low-ball settlement when you can multiple that amount by two or three or even more times. If your loved one died in a car accident, you will most certainly benefit from hiring a Miami car accident attorney for several reasons. First and foremost, a car crash involving a death is much more complicated from a legal perspective compared to crashes involving only injuries and property damage. Second of all, the vast majority of people are so overwhelmed by the loss of their loved one that they often cannot think straight and make the most rational decisions in their legal case. Every insurance company is aware of your weaknesses at such a horrendous moment of your life, which is why they will get you to accept the very minimum settlement amount. Even if you play all your cards right after a car accident, if you were at least partially to blame for the collision, your insurance company and the insurer of the other party involved will do whatever it takes to exaggerate the percentage of your fault or even shift the blame onto you. Contacting an experienced personal injury attorney is the only way to ensure that your case is being properly and fairly handled by insurance companies. 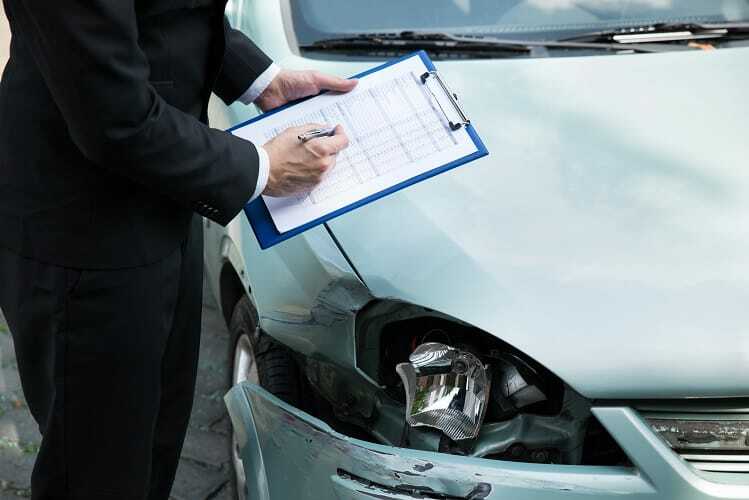 Do keep in mind that evidence is not always readily available in each case, which is why you may need a lawyer to investigate your case to be able to properly determine fault after the crash. Get a free case evaluation by contacting our lawyers at Dante Law Firm, P.A. Call at 305-949-2526 today.